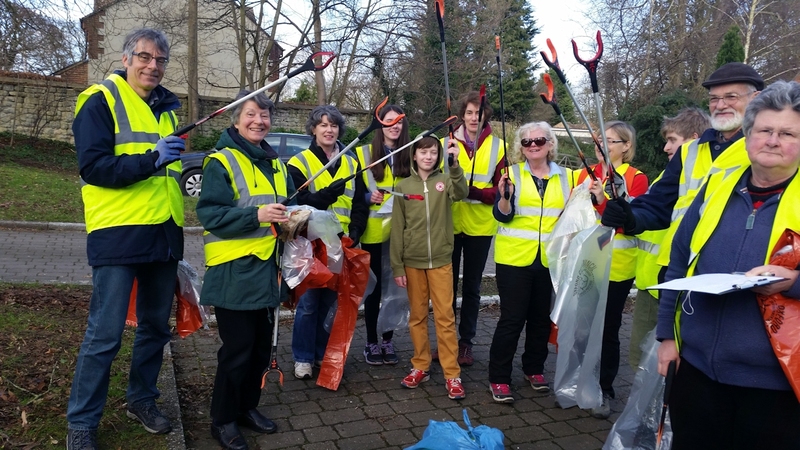 Spring Clean 2017 saw more volunteers than ever clearing litter from streets, verges and open spaces across Oxford. Demand for litter-pickers and hi-vis vests was so high that volunteers at our two depots were pushed to the limit to meet demand. 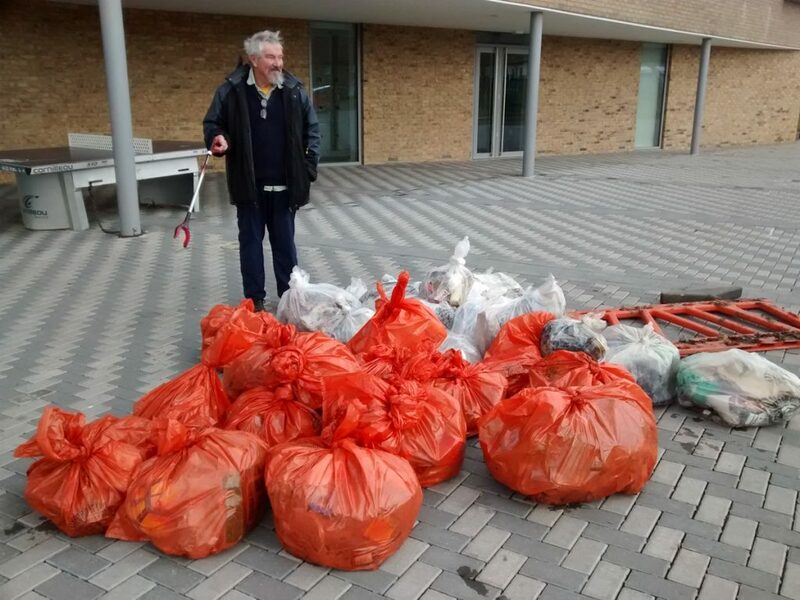 The biggest need was for rubbish bags: 1763 orange bags for landfill and the same number of clear recycle bags were filled over the three days. What no-one ordered was torrential rain, but most groups weren’t deterred. The Ramblers collected 30-40 bags of litter along the ring road and around Headington Quarry. Oxford Civic Society joined by a team from Oxford University Press collected large volumes of waste around Blackbird Leys. A few groups did decide to postpone their litter-picking for good reasons. Headington School, always reliable supporters of OxClean, thought it was too dangerous for their students to be out during Friday’s storm. So maybe it was the weather, or maybe the anti-litter message is getting through, or maybe it was a bit of both that meant the amount of litter collected was lower this year. Many groups reported that they were seeing less litter than previous years. The area around the Kassam Stadium, previously described as a ‘grot spot’, was this year reported as ‘clean’. The City Council’s StreetScene team reported that volunteers had collected 1.7 tonnes of recycleables and 2.4 tonnes of landfill – 40% down on last year. As well as the obvious benefit to the city that clearing up litter achieves, we are proud of the way Spring Clean brings communities together for a common purpose. 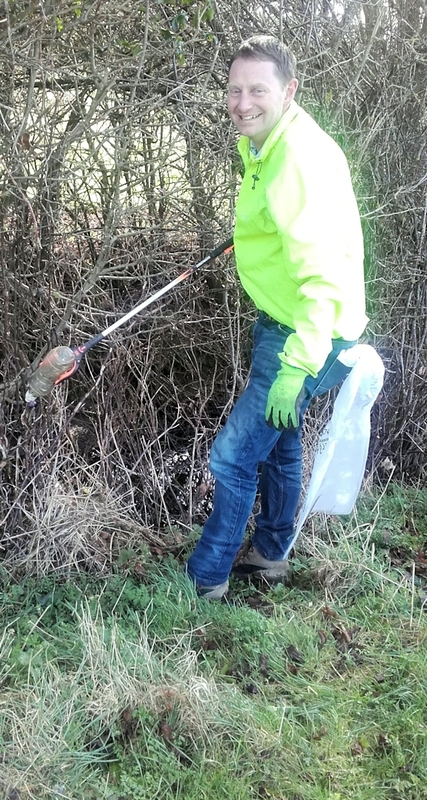 In East Oxford the Multifaith Cleaning Group were joined by the Young Conservatives to clean around Manzil Way. The verges of the Marston Ferry Road close to the rugby club were a sea of yellow as students from Wychwood School joined the Linton Road Residents Association and the Vicar and members of St Andrews Church. Going a step further Rose Hill and Iffley Low Carbon Group and the Nepalese Community joined together with the Rose Hill Residents Association and made a video about their coming together to litter pick. You can see it on YouTube. Next year’s OxClean Spring Clean will take place from Friday 2 – Sunday 4 March 2018. Put the dates in your diary now!